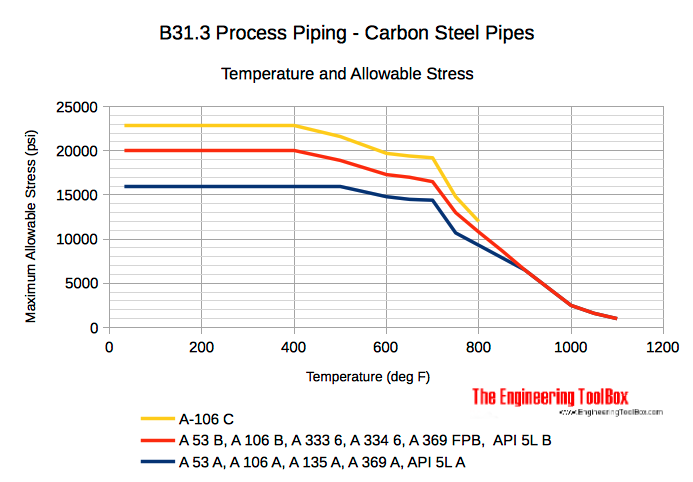 Operating temperatures and allowable tension stresses according ASME B31.3 - Process Piping. B31.3 covers design of chemical and petroleum plants and refineries processing chemicals and hydrocarbons, water and steam. This Code contains rules for piping typically found in petroleum refineries; chemical, pharmaceutical, textile, paper, semiconductor, and cryogenic plants; and related processing plants and terminals. This Code prescribes requirements for materials and components, design, fabrication, assembly, erection, examination, inspection, and testing of piping. This Code applies to piping for all fluids including: (1) raw, intermediate, and finished chemicals; (2) petroleum products; (3) gas, steam, air and water; (4) fluidized solids; (5) refrigerants; and (6) cryogenic fluids. Also included is piping which interconnects pieces or stages within a packaged equipment assembly. 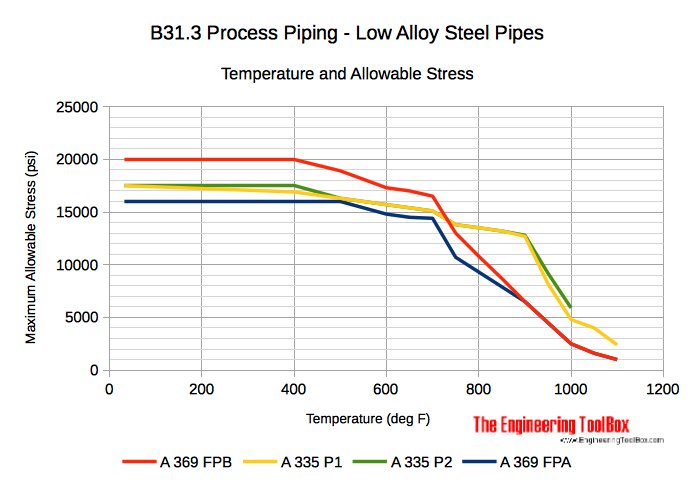 For B31.3 Process piping, allowable stress is tensile strength at temperature divided by 3. Note! for B31.1 - Power piping, allowable stress is tensile strength at temperature divided with 3.5. Engineering ToolBox, (2008). 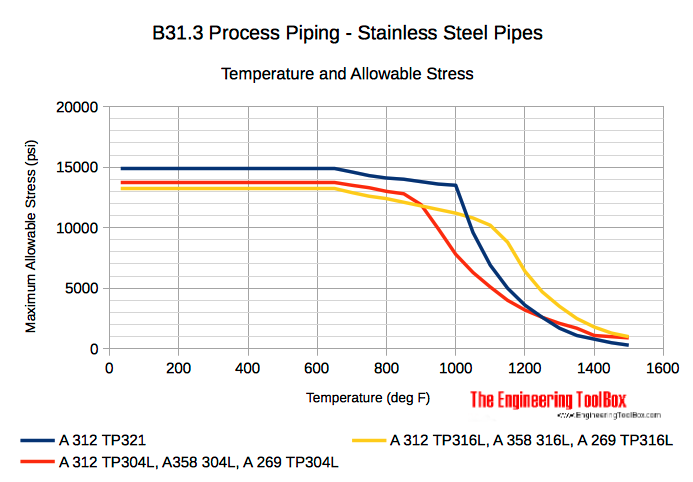 Process Pipes - Temperature and Allowable Stress. [online] Available at: https://www.engineeringtoolbox.com/temperature-allowable-stresses-pipes-d_1338.html [Accessed Day Mo. Year].